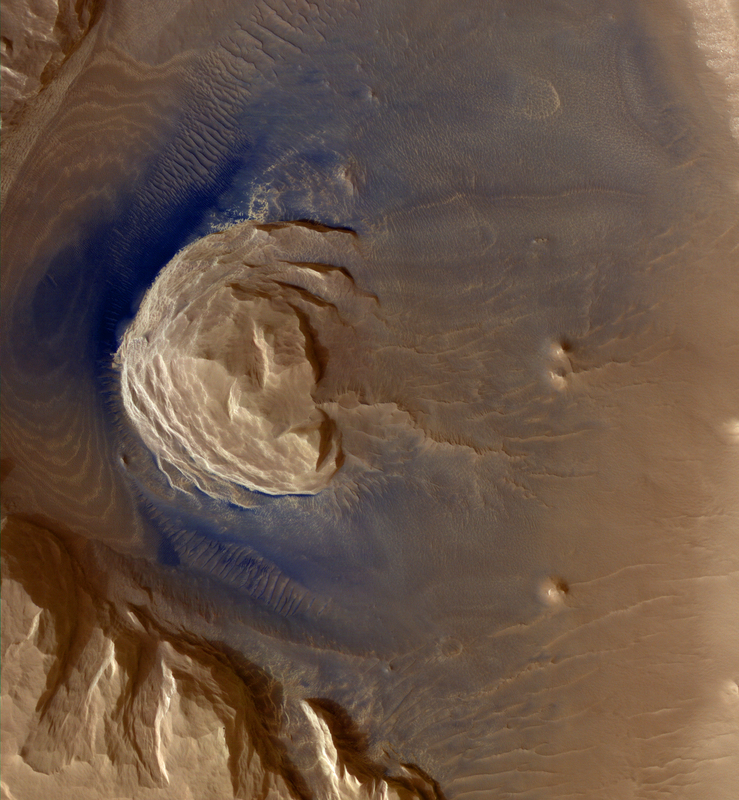 There are blocks of layered terrain within the Olympus Mons aureole. 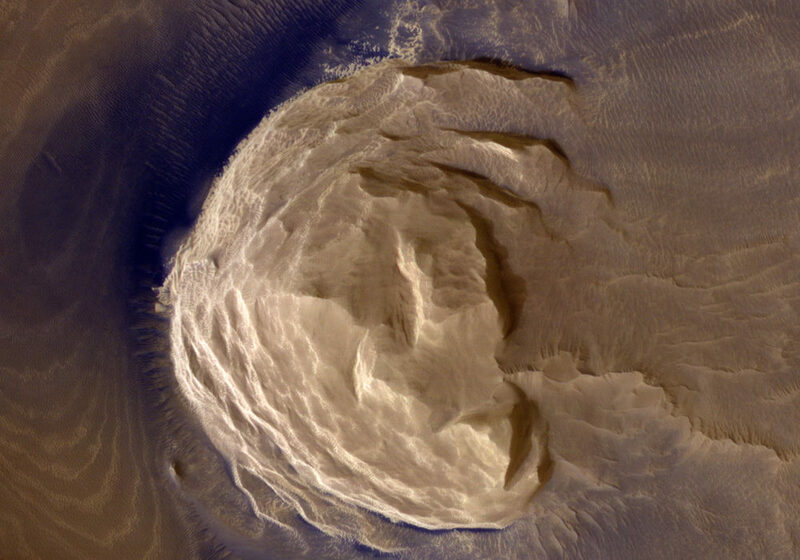 The aureole is a giant apron of chaotic material around the volcano, perhaps formed by enormous landslides off the flanks of the giant volcano. These blocks of layered material have been eroded by the wind into the scenic landscape we see here . This is a stereo pair with ESP_013049_1980 .